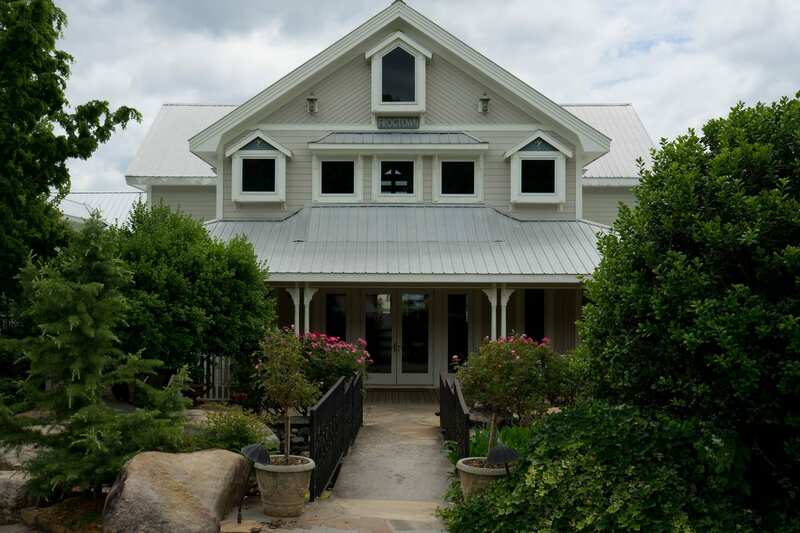 In 1998, Atlantans’ Craig and Cydney Kritzer founded Frogtown Cellars in the “Frogtown District” of Lumpkin County; a viticultural area carefully selected for quality wine grape production and outstanding mountain views. Frogtown’s principal estate property is a 57 acre vineyard and winery complex located at the foot of the Appalachian Mountains equal distance between Dahlonega and Cleveland Georgia. This estate property is within the geographically defined “Dahlonega Plateau.” Frogtown believes the Dahlonega Plateau will soon become a recognized American Viticulture Area (AVA) in the near future. We believe Frogtown is the most awarded winery not located in California in major US competitions, which are primarily held in California. Since 2010 Frogtown has been awarded 2 Platinum, 36 Gold, 82 Silver and 92 Bronze Medals. The significance of French and Italian winemaking rules adopted by Frogtown that require strict adherence to certain rules and regulations which protect and greatly assist the ability of wine drinkers in the identification of terroir-based wines. The need for the wine-consuming public to be aware of deceptive wine labeling practices resulting in California grown wine or concentrate being blended into wines labeled under the name of the State where the winery is located (i.e. Georgia, Virginia, New York, North Carolina) without disclosing the fact such wine contains California grown wine or concentrate. Frogtown’s winery is specifically designed to take advantage of the steep changes in elevations created by the topography of our rolling, hilly terrain. The winery is constructed as a tri-level gravity flow winery. Each of the three levels has a different elevation and serves different functions in the winemaking process. The top level is our crush pad where the initial stages of winemaking occur. The second level, twelve feet below the Crush Pad, is our principal tank room where fermentations occur and wine is stored and blended in stainless steel tanks. The third, six feet below the Tank Room, and lowest level, houses our barrel room where our red wines and some white wines are aged. The third level additionally contains our bottling area. These three separate and distinct levels promote the movement of grape juice and wine by gravity. Using gravity to primarily move juice and wine is significantly less invasive and more gentle than moving juice and wine with the aid of even the gentlest of pumps. Our winery and our winemaking equipment have been carefully and purposely designed and selected for the production of our unique high quality terroir wines. In addition to substantial stainless steel tanks, Frogtown employs over 450 wine barrels in its winemaking almost equally divided between American and French oak. Please visit Our Winemaking Philosophy. Frogtown’s North Georgia vineyards are at elevations from 1675 feet to 1825 feet above sea level. The estate’s land is divided into separate blocks based on the diverse soil, climate, terrain, and vine row aspect of each block. Different white and red wine grape varieties are planted in each distinct block based on the block’s viticultural characteristics. The Kritzer family invites you to enjoy our unique terroir awarded wines and our delicious food offerings at each of our tasting room locations. For addresses and directions to our tasting rooms, please visit Tasting Rooms and Bistro Cafes. the combination of unique characteristics such as geography, geology and macro, meso, and micro climatic conditions provided by a certain place, that, when interacting with a grape vine’s genetics, produce wines uniquely recognizable year after year. Frogtown is committed and dedicated to, and proud of, our unique North Georgia (Dahlonega Plateau) terroir. Frogtown grows and produces wines, which compete with other premium and ultra premium wines grown and produced anywhere in the world. We do not just say we make premium wines. We prove our characterization of Frogtown as premium wines by submitting Frogtown labeled wines to the rigors of competing against the best wines produced anywhere in the world, at the most prestigious and challenging competitions in the United States. 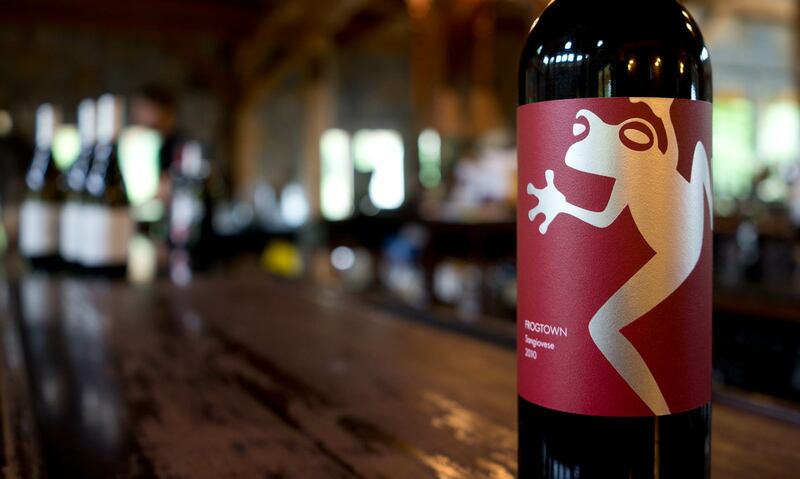 With the sole exception of dessert wines offered under the Frogtown label, all Frogtown labeled wines are made under the self imposed strict “French Rules” and are completely dry wines. By adopting French winemaking rules, Frogtown does not add back any sugar to its dry wines. Unlike France, in the United States it is not illegal to add sugar to “dry” wines. Many wineries in the United States, including California, add small amounts of sugar to their “dry” wines at bottling to make their wines more supple and easier to drink. This small addition of sugar is usually in an amount that is below the threshold for most people to perceive sweetness in wine. While this practice adds smooth textures to the wine, it also makes wine less food friendly. Even the extremely small amount of one gram of sugar per liter of wine coats each molecule of wine with a thin sugar veneer that adversely affects the palate cleansing benefits of drinking wine while consuming food. All Frogtown wines labeled under a State of Georgia Appellation means the wine contains 100% Georgia estate grown fruit. You should be aware of deceptive wine labeling practices. The federal government and the most States, including Georgia, allow the blending of up to an astounding 25% of non-domiciliary wine (i.e. California grown wine or concentrate) into their State labeled wine without requiring the disclose of such blending on the label of the wine bottle. Many East Coast wineries, including wineries in Georgia, systematically blend California grown wine or concentrate into their State labeled wines without any attention to the ethical issues such non-disclosed winemaking practices create in wine labeling. Under specific and detailed wine labeling laws, the Federal Government, by allowing this winemaking practice, simply encourages, in our opinion, fraudulent and deceptive labeling practices throughout the East Coast. Simply stated, a person purchasing a bottle of wine, other than a Frogtown wine, labeled under a Georgia Appellation may not be purchasing wine containing 100% Georgia grown wine! The problem with blending California grown wine with wine produced in another State is not the making of such wine but the labeling of such wines. Frogtown, in an effort to educate the wine consuming public, has created wines labeled under a label designation of American wine, not a State of Georgia wine, by blending California grown wine with wine grown at Frogtown. Frogtown additionally differentiates such wine from its 100% estate grown Georgia labeled wine by placing on the label of such American wine a label reference either as an East Coast West Coast Wine, a West Coast East Coast Wine, or Disclosure (because we disclose that the wine is not a 100% Georgia wine). In 2010, 2011, AND 2012 a number of such label wines won gold medals, and our First Compulsion, an East Coast West Coast Wine, won a Platinum medal, at major California Competitions. Frogtown has proven proper ethical labeling can be accomplished so the wine tasting public is aware of what is in their purchased wines while winning substantial recognition for such wines at California competitions. It is not illegal in the United States to add sugar to a finished wine.  Frogtown, by adopting such less strenuous American winemaking rules and protocols, also produces Off-Dry Wines, Sweet Vinifera Wines, and Muscadine and Muscadine-blended wines. These wines do contain residual sugar in different quantities. The Off-Dry Vinifera Wines are produced under the Thirteenth Colony label. These wines contain 1% or less residual sugar. Thirteenth Colony wines are very close to being dry wines. The addition of a “slight” amount of sugar (10 grams per liter or less) aids wine drinkers who are not accustom to drinking dry wines to enjoy wines made from the premium European vinifera grapes. Thirteenth Colony wines often serve as a bridge to many Frogtown customers enabling such customers to expand their palate to dry wines. The Sweet Vinifera Wines are produced under the Talking Rock labels. These wines are quiet sweet, containing up to 6% residual sugar. The Muscadine wines are produced under the Valdosta Wine Company and Helen Wine Company labels. These wines are made from 100% pure muscadine grapes; we label these wines “estate” (terroir) wines, as the grapes for these wines are grown at our Hahira, Georgia vineyards. Muscadine-blended Wines are produced under the Southern Charm label. By blending vinifera wines into muscadine wines, these wines are unique having a “lighter” muscadine flavor. For a complete list of all wines made by Frogtown please see Our Wines. On Frogtown’s 44 acres of North Georgia vineyards, 25 different wine grape varieties are planted. The red varieties Cabernet Sauvignon, Merlot, Cabernet Franc, Sangiovese, Tannat, Touriga National, Malbec, Petit Verdot, Nebbiolo, Chambourcin, Teroldego and Norton, and the white varieties Chardonnay, Viognier, Marsanne, Roussanne, Sauvignon Blanc, Sauvignon Gris, Seyval, Petit Manseng, Vidal, Greco di Tufo and Muscato are grown. In total there are 23,000 grape vines in Frogtown’s North Georgia vineyards capable of producing up to 180 tons of premium wine grapes each year. This tonnage equates to over ten thousand cases of Estate grown wine per year! Three trellis systems are used at our North Georgia vineyards. The Open-Lyre Trellis and the Geneva Double Curtain Trellis are divided systems employing quadrilateral trained vines. These two divided trellis systems were specially selected for the growing conditions of our North-East Georgia mountain macroclimate. Frogtown also uses, on a limited basis, the vertical shoot position system, which is widely used all over the world. Frogtown is growing, for the Southern palette, sweet Muscadine wines. Frogtown makes “premium” Muscadine wines that are true to the flavors of Muscadine grapes without the addition of non-grape flavoring which are typically added to Muscadine wines.